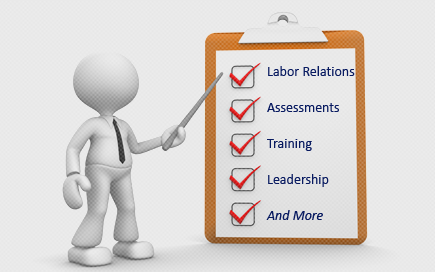 Labor Relations News Update February 22, 2014 | Oliver Bell, Inc.
King had reason to be excited. For nearly three years he had campaigned to get the union into his plant. As one of the leaders of the drive, his sense was that the UAW had the support of the majority of the plant’s 1,550 hourly workers. Unlike in most union drives, organizers didn’t have to worry about the company threatening workers’ job, because Volkswagen had agreed to remain neutral in the process, so King felt cautiously optimistic that the support would hold. Labor lawyers said there is little precedent for the NLRB to consider objections to organizing elections based on third-party interference. The United Auto Workers union has asked a federal labor agency to consider holding another vote at a Tennessee Volkswagen plant, contending interference by Republican lawmakers and others prompted workers there last week to reject union representation. The UAW filed its request on Friday with the National Labor Relations Board, a quasi-judicial federal labor agency that supervises union elections and referees private-sector workplace disputes. The request—known officially as an objection to the election—could lead to a new election. The NLRB will review the UAW’s objections, a spokesman said. Workers at the Volkswagen assembly plant in Chattanooga, Tenn., rejected UAW representation 712-626 in a stinging setback for the union and for organized labor as its seeks to increase its membership, especially in Southern states. Labor lawyers said there is little precedent for the NLRB to consider objections to organizing elections based on third-party interference. Typically allegations of meddling are aimed at the company, said Art Schwartz, president of Labor and Economics Associates, Ann Arbor, Mich., consultants. The document names U.S. Sen. Bob Corker (R., Tenn.), Gov. Bill Haslam and about a half-dozen other senior state officials, accusing them and their staff of coordinating “publicly announced and widely disseminated threats.” Most of the statements, the UAW said, “centered on a threatened loss of state financial incentives” for Volkswagen of America expansion in Chattanooga if the union was elected. “And these threats were clearly designed to influence” workers, it added. It cited remarks by Mr. Corker saying he had been assured by Volkswagen that if workers voted against the union, Chattanooga would win a new sport-utility vehicle line. Company officials later said there was no connection between the two. UAW and other union officials have called the 53% to 47% vote “narrow,” and said it would have been swung with 44 more votes in favor of the union. “It is extraordinary interference in the private decision of workers to have a U.S. senator, a governor and leaders of the state legislature threaten the company with the denial of economic incentives and workers with a loss of product,” UAW President Bob King said in a statement on Friday. “We’re committed to standing with the Volkswagen workers to ensure that their right to have a fair vote without coercion and interference is protected,” he said. Sen. Corker said in a written statement that the plant workers “spoke very clearly last week, so we are disappointed the UAW is ignoring their decision.” Mr. Corker said the filing could slow Volkswagen’s final discussions on where to locate the SUV line. “This complaint affirms the point many of us have been making: that the UAW is only interested in its own survival and not the interests of the great employees at Chattanooga’s Volkswagen facility nor the company for which they work,” Mr. Corker said. Volkswagen declined to comment on the filing. The vote occurred between Feb. 12 and Feb. 14. Union officials are convinced that Mr. Corker’s statement about the SUV line influenced the outcome, a person briefed on the union’s thinking said. The UAW was running a phone-bank campaign during the election, and in the days just before the vote heard from VW employees who once were in favor of a union swaying more neutral or to “no,” this person said. Another person who has been advising workers opposed to the UAW said about 1,000 of the 1,300 votes were cast last Wednesday before Mr. Corker went public with the statement that the plant would get an SUV even if the UAW loses the election. —Neal Boudette, Christina Rogers and Siobhan Hughes contributed to this article. UNITE HERE Local 1 (Stefani’s Pier Front, Inc. d/b/a Crystal Garden) (13-CB-096888; 360 NLRB No. 42) Chicago, IL, February 12, 2014. The Board adopted the administrative law judge’s findings that the Respondent Union did not violate Sec. 8(a)(2) by causing the employer to discharge the Charging Party employee without previously advising her about the consequences of nonpayment of the monetary amount in arrears of her periodic dues, the total amount that she owed, an monthly breakdown of the amount owed, and how the amount was calculated. The Board found that the Respondent satisfied the requirements of Philadelphia Sheraton Corp., 136 NLRB 888 (1962), enfd. sub nom. NLRB v. Hotel Employees Local 568, 320 F.2d 254 (3d Cir. 1963), and that the Charging Party willfully and deliberately determined not to satisfy her dues obligations to the Union. The Board noted that this conduct would have excused any failure by the Union to fully comply with the Philadelphia Sheraton requirements. Charge filed by an individual. Administrative Law Judge Bruce D. Rosenstein issued his decision on July 12, 2013. Chairman Pearce and Members Hirozawa and Schiffer participated. World Color (USA) Corp. (32-CA-062242 and 063140; 360 NLRB No. 37) Fernley, NV, February 12, 2014. The Board adopted the judge’s finding that the Respondent violated Section 8(a)(1) by maintaining an overbroad hat policy that employees would reasonably understand to prohibit union caps. The Board reversed the judge’s finding that the Respondent also violated Section 8(a)(1) through statements to an employee about the employee’s Facebook posts, which were not shown to be protected concerted activity. The Board amended the judge’s recommended Order in accordance with Guardsmark, LLC, 334 NLRB 809 (2005), enfd. in relevant part 475 F.3d 369 (D.C. Cir. 2007), to require the Respondent to rescind the unlawful hat policy and to revise its handbook to exclude that policy. Charges filed by Graphic Communications Conference of the International Brotherhood of Teamsters, Local 715-C. Administrative Law Judge William Nelson Cates issued his decision on July 31, 2013. Chairman Pearce and Members Hirozawa and Johnson participated. Flamingo Las Vegas Operating Company, LLC (28-CA-077145, et al. ; 360 NLRB No. 41) Las Vegas, NV, February 12, 2014. The Board agreed with the administrative law judge that the employer had not discriminatorily disciplined or discharged three employees. The Board adopted the judge’s finding that the employer had taken no adverse action against one of the employees in telling him that it would file a Board charge for his union activity. The Board, however, did find that statement to be an unlawful threat. In doing so, the Board rejected the General Counsel’s characterization of the unrepeated statement directed to one employee as announcing a new work rule. The Board found that the other two employees would have been discharged for their misconduct even in the absence of any union activity. The Board adopted the judge’s recommendation to overrule all the union’s election objections, which included the employer’s allowing employees to vote during working time, the observers’ uniforms and the tablecloth covering their table, the alleged surveillance of a union supporter, and the prepetition unfair labor practices found in an earlier case, Flamingo Las Vegas Operating Co., 359 NLRB No. 98 (2013). The Board observed that the judge overlooked that two objections involved unfair labor practices found in the earlier case that did occur during the critical period following the petition. The violations were undisseminated threats to two employees, so the Board found that they could not have affected the election decided by 18 votes. Chairman Pearce, writing separately, dissented in part. He would have found that the employer unlawfully discharged one of the employees to demonstrate earlier threats to be less lenient with discipline if the union were voted in. In his view, although that employee had received two final written warnings, the employer’s threats and prior leniency with that employee’s discipline prevents finding that the employer would have discharged him for his misconduct even in the absence of union activity, rather than imposing some lesser discipline. He would have set aside the election, as he would have sustained the union’s objections concerning this discharge and the two undisseminated threats that the majority found could not have affected the election. Charges filed by International Union, Security, Police and Fire Professionals of America (SPFPA) and an individual. Petition filed by SPFPA. Administrative Law Judge Gerald A. Wacknov issued his decision on December 18, 2012. Chairman Pearce and Members Hirozawa and Johnson participated. Amalgamated Transit Union, Local Union No. 1433, AFL-CIO (Veolia Transportation Services, Inc., Phoenix Division) (28-CB-078377; 360 NLRB No. 44) Phoenix, AZ, February 12, 2014. The Board found that union agents unlawfully threatened employees who exercised their right not to participate in a strike with diminished representation. The Board found, however, that the Union did not unlawfully fail to remove comments that union members posted on its Facebook page. Member Miscimarra agreed, but relied only on the fact that the commenters were not agents of the Union. The Board also found that the Union did not unlawfully shame or threaten reprisals against the person who printed out copies of the Facebook comments and gave them to the Charging Party. Charge filed by an individual. Administrative Law Judge Keltner W. Locke issued his decision on November 28, 2012. Chairman Pearce and Members Miscimarra and Hirozawa participated. Laborers International Union of North American, Local 860 (Ronyak Paving, Inc.) (08-CD-089283; 360 NLRB No. 40) Burton, OH, February 12, 2014. In this jurisdictional dispute under Section 10(k) of the Act, the Board awarded the work in dispute to employees represented by the Laborers International Union of North America, Local 860, based on employer preference and past practice, and economy and efficiency of operations. Charge filed by Ronyak Paving. Hearing Officer Jun S. Bang issued the report on February 4, 2013. Chairman Pearce and Members Johnson and Schiffer participated. Pacific Lutheran University (19-RC-102521) Tacoma, WA, February 10,, 2014. The Board issued a Notice and Invitation to File Briefs, which invited the parties and interested amici to file briefs on two questions: whether a religiously-affiliated university is subject to the Board’s jurisdiction, and whether certain university faculty members seeking to be represented by a union are employees covered by the National Labor Relations Act or excluded managerial employees. At this Tacoma, Washington-based university, the Service Employees International Union, Local 925 filed a petition to represent a unit of all non-tenure-eligible contingent faculty who taught a certain number of hours. The university argues that the Board lacks jurisdiction because the university is a religiously-operated institution that is not subject to the Act, and that certain faculty in the petitioned-for unit are managers. In its invitation, the Board listed three questions to be addressed concerning jurisdiction, including what test the Board should apply under NLRB v. Catholic Bishop, 440 U.S. 490 (1979), to determine whether self-identified “religiously affiliated educational institutions” are exempt from the Board’s jurisdiction, and what factors the Board should consider in determining the appropriate standard for evaluating jurisdiction under that case. The Board listed nine questions that the briefs should address concerning the standard under NLRB v. Yeshiva University, 444 U.S. 672 (1980). Briefs are due to be filed with the Board by March 28, 2014, with the parties permitted to file responsive briefs by April 11, 2014. Petitioner — Service Employees International Union, Local 925. Chairman Pearce and Members Miscimarra, Hirozawa, Schiffer, and Johnson participated. 1 Burr Road Operating Company II, LLC d/b/a Westport Health Care Center (01-RC-114507) Westport, CT, February 12, 2014. The Board denied the Employer’s request for review of the Regional Director’s decision and direction of election, and denied the Employer’s request for a stay of election as moot. The panel majority did not pass on the weight to be given to verbal warnings issued after the representation petition had been filed because it found that the warnings did not, in any case, show that the charge nurses are held accountable for the CNAs’ performance. The majority also noted that the record did not establish that the charge nurses exercised independent judgment in directing CNAs. Member Miscimarra agreed with the majority that the record did not show that charge nurses exercised independent judgment in directing CNAs, and thus found it unnecessary to pass on whether the Employer demonstrated that it held them accountable for that direction. Member Miscimarra additionally noted that the record failed to show that the charge nurses exercised independent judgment in orally warning and/or counseling CNAs. Petitioner—New England Health Care Employees Union, District 1199, Service Employees International Union. Chairman Pearce and Members Miscimarra and Schiffer participated. ACX Pacific Northwest, Inc. (32-CA-108141) Stockton, CA, February 10, 2014. Order denying the petition filed by ACX Pacific Northwest, Inc., to revoke a subpoena ad testificandum issued to Manuel Magana. The Board found that the petition was untimely filed, and even assuming that it was timely, it was lacking in merit, as the subpoena sought information relevant to the matter under investigation and described with sufficient particularity the evidence sought. Further, the Board held that the Employer failed to establish any other legal basis for revoking the subpoena. Charge filed by an individual. Chairman Pearce and Members Johnson and Schiffer participated. Nebraskaland, Inc. (02-CA-084052 and 090623) Bronx, NY, February 10, 2014. No exceptions having been filed, the Board adopted the finding of the Administrative Law Judge that the Respondent had not engaged in certain unfair labor practices, and therefore the Board dismissed the Complaint. All American School Bus Corp. (29-CA-100827) Long Island City, NY, February 10, 2014. The Board granted the request of one of the Respondents in this case, B-Alert, Inc., to withdraw its exceptions and accordingly the Board adopted the Administrative Law Judge’s findings and conclusions as to B-Alert, and ordered it to take the action set forth in the judge’s recommended Order. SEIU United Healthcare Workers-West (Kaiser Permanente) (21-CB-111348) Irvine, CA, February 11, 2014. The Board denied the Union’s petition to revoke a subpoena duces tecum, finding that the subpoena sought relevant information and described the requested evidence with sufficient particularity. Further, the Board concluded that the Union had not established any other basis for revoking the subpoena. Chairman Pearce and Members Miscimarra and Schiffer participated. United States Postal Service (07-CA-099718, et al.) Grand Rapids, MI, February 12, 2014. Decision and Order approving a formal settlement stipulation between the Respondent Employer, the Charging Party Union, and the General Counsel, and specifying actions the Respondent must take to comply with the National Labor Relations Act. Charges filed by Local 307, National Postal Mail Handlers Union, AFL-CIO, a Division of the Laborers’ International Union of North America, AFL-CIO. Chairman Pearce and Members Miscimarra and Schiffer participated. United States Postal Service (01-CA-096790) Hull, MA, February 12, 2014. Decision and Order approving a formal settlement stipulation between the Respondent Employer, the two Charging Party Unions, and the General Counsel, and specifying actions the Respondent must take to comply with the National Labor Relations Act. Charges filed by American Postal Workers Union, Boston Metro Area Local 100 and American Postal Workers Union, Local #2461. Chairman Pearce and Members Miscimarra and Schiffer participated. CPS Security Solutions, Inc. d/b/a CPS Security Solutions, Inc. (28-CA-072150; JD(ATL)-04-14) Las Vegas, NV. Administrative Law Judge Michael A. Marcionese issued his decision on February 11, 2014. Charges filed by individuals.